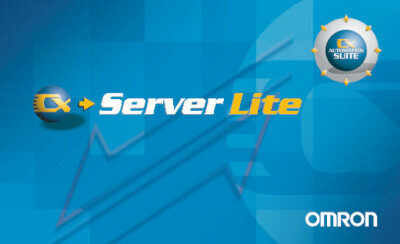 As a pair to our OPC product, CX-Server LITE is designed to meet a wide variety of programmers' needs from the simple to the advanced. 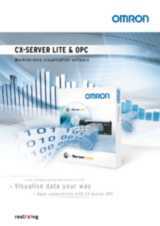 Used to create PC-based simple HMI projects, CX-Server LITE allows designers of custom programs to send and receive PLC data and manipulate controllers within Omron networks. ActiveX communications object handles all communciation to CX-Server. Graphic components allow reading and writing of symbols with 'Point-and-click' interface without writing a single line of code. Advanced API accessible from script, for reading/writing values, subscribing to data, setting the PLC clock, uploading/downloading programs, accessing memory card etc. Includes programming examples for Excel, Visual Basic, VBScript, Visual C++, C# and VB .NET.